applicant pool, and scholarships will be awarded based on the strength of each candidate's academic background, passion for increasing the involvement of women in computer science, and demonstrated leadership. 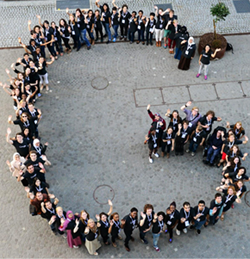 As an Anita Borg Scholar, you will participate in a unique program that includes professional development as well as outreach in your community which kicks-off at the Scholars Retreat in Zurich. The Google Anita Borg Memorial Scholarship is a global program. If you are a student who will not be enrolled at a university in Europe, the Middle East or Africa for the 2015-2016 academic year, please visit the Anita Borg Scholarships Homepage to learn more about our Anita Borg Scholarships around the world. The deadline for Application is 2nd February 2015.